The 4th of July is almost here! This weekend we will be celebrating America's Independence Day with fireworks, friends, and BBQ's! What are your favorite picnic foods? 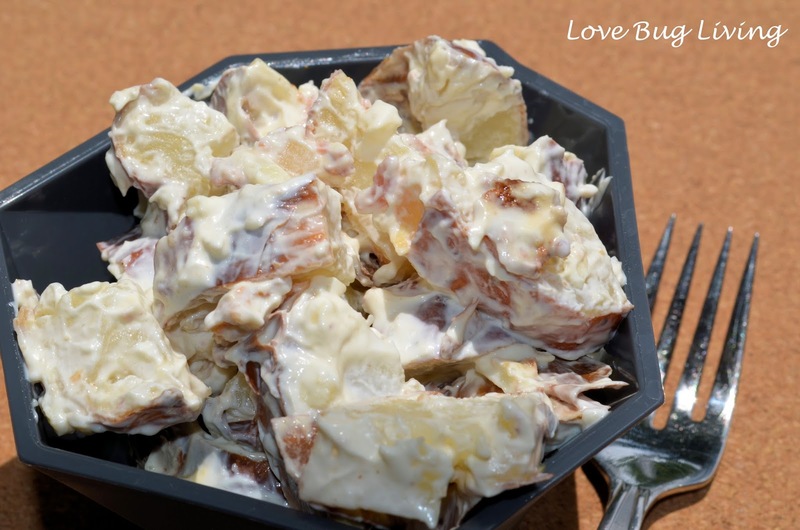 An All-American favorite side seems to be potato salad. So many different variations and flavors to choose from. 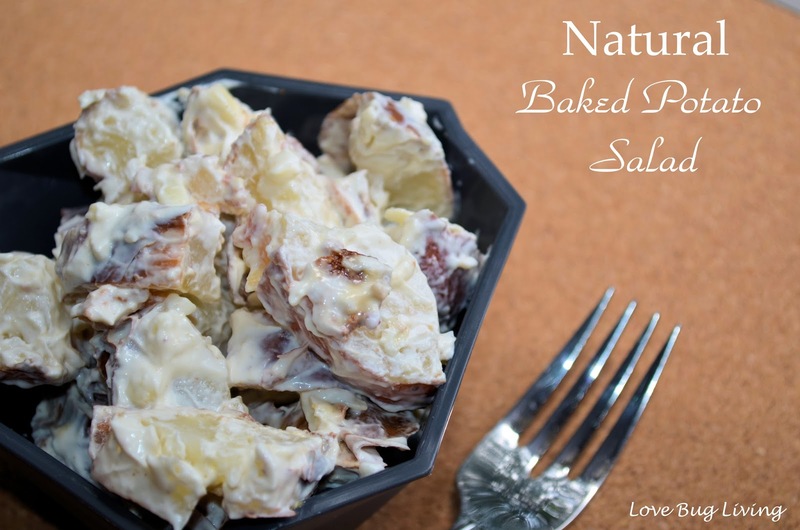 I've previously posted my favorite Lower Fat Baked Potato Salad. While I've always tried to watch my calorie and fat intake, my priorities have changed a bit. Instead I'm more worried about what chemicals and preservatives are in my family's food. That means that I'm cooking a lot more of our food at home and from scratch. The pre-made food I am buying has all natural ingredients, without the preservatives. Research has shown that the chemicals from artificial colors and flavors in our food can affect behavior, learning and our health. I've recently started my family on the Feingold diet. While it is geared for those that have ADHD and similar issues, I have found that this diet can benefit anyone. What's tough is that it's not enough to just read labels. There are many loopholes that companies use to get around labeling some of the unwanted ingredients and preservatives that they use. What's worse is that many labels claim to be All Natural, when really they aren't. Quite frustrating! Lucky for me, Feingold has done all the research to track all of these unlabeled ingredients. I feel much more confident in the food choices I am making for my family. It is a bit more work sometimes, but I have been able to create all of my family's favorite foods, so we don't feel like we are missing out on anything. This weekend will be no different! We will be celebrating with burgers, watermelon, corn on the cob, and potato salad! All of our favorites! Preheat oven to 425. Bake your potatoes for an hour or until cooked. Allow to cool until able to handle. Chop your potatoes into about 1 inch chunks, leaving skin on. Place in fridge to cool. Combine your remaining ingredients and mix well. Stir in cooled potatoes until fully coated. Sprinkle with chives if desired. Serve cold. Enjoy your 4th of July knowing that your family is eating real food, without all the chemicals.